Gratuity is not included, suggested minimum $25 per person. Nice Clean Roomy(1300 sq ft.)Lodging is available for $35/ Guest /Night. Lodging has a full Kitchen and Gas Grill, 3 Bedrooms and 2 Baths and includes towels and linens. We can accommodate up to 9 guests in our lodging. Meals are available upon request for $50 per person. Meals include a gourmet Cajun dinner the night of arrival. A hot breakfast and a sack lunch on the boat. 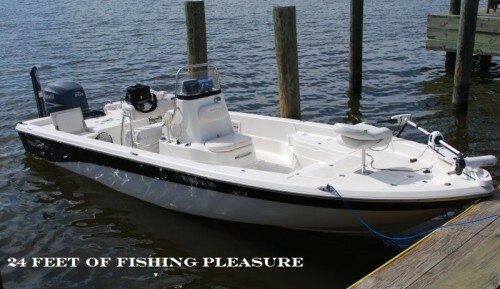 * Buy a license ahead of time: A 3 Day Charter out of state fishing license $10. per person to fish with a licensed Guide. Available at most Louisiana Wal-Mart Stores or Louisiana Sporting Goods Stores. You can get a license at the marina or you may obtain a 3 Day Charter License over the phone with a credit card at (1-888-765-2602) For $10. plus a small handling fee.